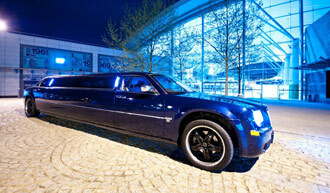 Enjoy exceptional limo hire service in Oxford. Absolute Style Limousines is one of the most trusted limo hire Oxford services that offers very impressive luxury transportation options. If you are looking for stunning limousines to make the important days of your life memorable then look no further. We have been in the limo hire industry for several years. We have our own fleet of top-notch limousines to cater to all types of limo hire Oxford requirements. Our large fleet of limousines include Stretched Lincoln Town Car, Stretched Chrysler 300C, Stretched Hummer, Super Stretch Excursions, Party Bus and more. We are sure that you will certainly find a limousine that best fits your occasion and your requirements. We offer very professional limo hire services in Oxford and the surrounding areas. Absolute Style Limousines continually works on perfecting its services to ensure 100% customer satisfaction. All our limousines are serviced regularly and maintained well. You will find our services very reliable. To ensure safe limo hire Oxford services to our customers we not only invest on the latest and the best limousines but we also choose our chauffeurs carefully. All our chauffeurs pass CRB screening and all our chauffeurs are fully licensed. You are therefore absolutely safe with our limousine hire services. Moreover, all our chauffeurs are very polite and helpful; they know how to make you feel like a celebrity. We have the best limo chauffeurs at Absolute Style Limousines to guarantee you absolute satisfaction. Birthdays, special occasions, wedding car hire, wedding buses, white London wedding taxis, Christmas party nights in Oxford. You can make use of Absolute Style Limousines for all types of limo hire Oxford requirements. We are one of the most sought after wedding limousine hire companies in Oxford. We offer our customers very personalised services. You will find our prices very impressive and we do not levy any hidden charges. Our competitive pricing makes limousines easily accessible to everyone. While we keep our prices low, we never compromise on the quality of our services. You will therefore find our services very dependable. Absolute Style Limousines also caters to all your corporate limo hire needs in Oxford and the surrounding areas. We have the latest limos for your promos and road shows. If you are looking for corporate transportation needs for your VIP guests, we are here to provide you with outstanding solutions. We take pride in being one of the most sought after limousine hire companies in the region. We have earned the trust and confidence of our customers by consistently delivering on our promises. Absolute Style Limousines strives hard to make the entire limo hire process simple and easy for our customers. Right from attending your initial quote request call to finally signing off, everything is handled with utmost care leaving no room for complaints. We want every customer that uses our limousine hire services to enjoy a memorable ride of their life and come back to us for all their subsequent limo hire needs. Confidently choose Absolute Style Limo hire services and you will certainly not be disappointed.